Discover a contemporary twist on classic Parisian and Manhattan 1940s Art Deco. 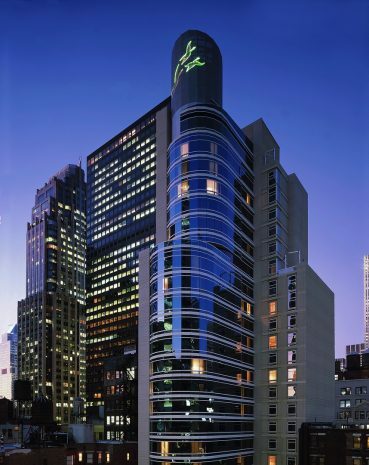 Rising 30 stories above 44th and 45th Streets, Sofitel New York emerges as a modern statement of limestone and glass in midtown Manhattan. Renowned French designer Pierre-Yves Rochon has given Sofitel New York the ambience of an prestigious private club combined with the warmth of a gracious home.